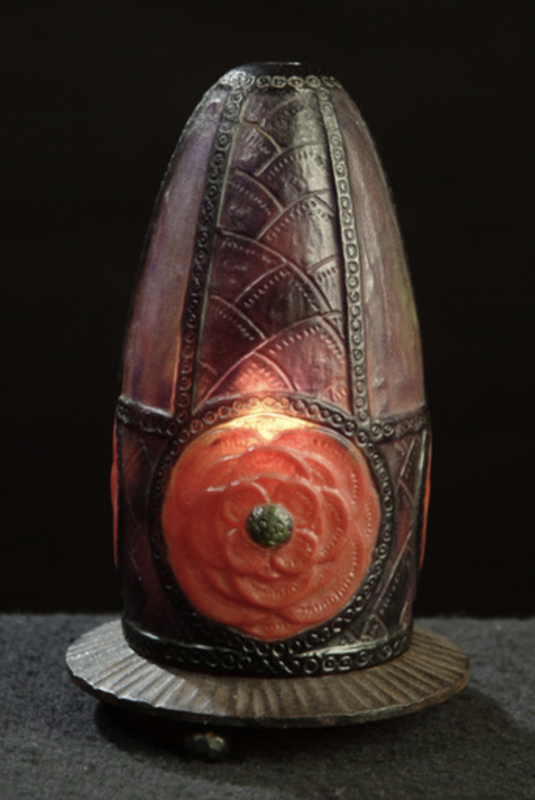 This is a nightlight, a veilleuse, in the famous pate de verre technique. This means that a mall in plaster has been filled with small grains of glass with a pincet by hand, grain after grain to get the small coloured grains in the right position. An enormous amount of work. A fine piece of art.